Compact 1/16 DIN size fits into standard industry panel cutouts. Microprocessor based for fast, reliable and accurate measurements. Easy to calibrate by one keyboard. Degree ℃/℉ are switchable. 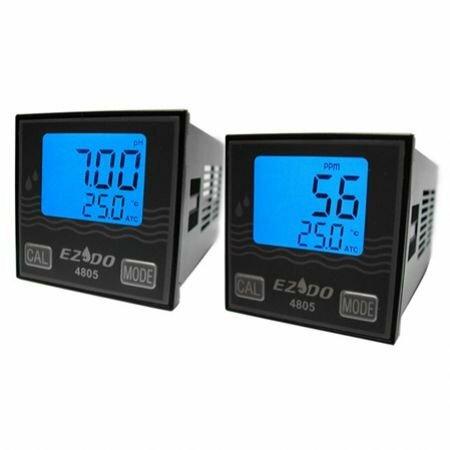 The large backlight LCD display pH or Conductivity and Temperature simultaneously. Optional NEMA-4X gasketed lens cover fits over front bezel of controller-made of watertight corrosion resistant ABS plastic.